Yeah, that's him. Handsome devil, isn't he? But Romeo is going to have to throw away all those stray Doritos bags and clean up his apartment because he's getting a girlfriend. Actually, the Bill Paxton of the frog community might be getting fivegirlfriends because they've all been hiding deep in the forest. 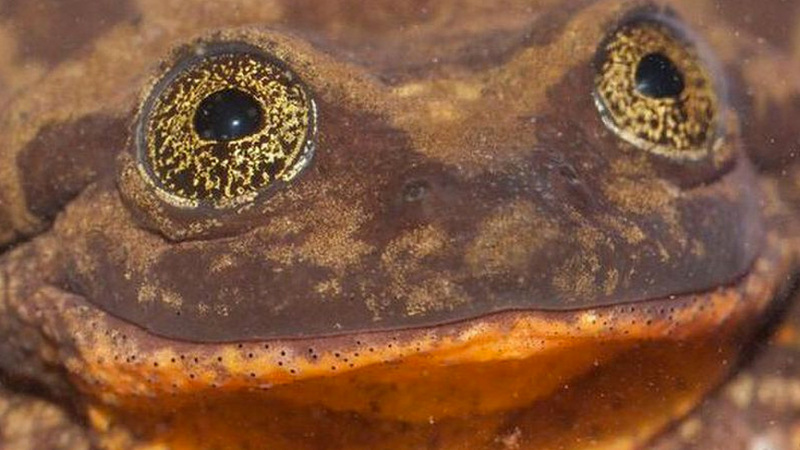 No word on the gender of the other amphibians, but there is one female for certain, and her name is naturally Juliet. But now they can make a nice Frog Family and continue the future of their species. It's like a Will Smith apocalypse movie, without the burden of a forced emotional plot line, or Jaden Smith.